Select More from issue action navigation bar and then Repeat. Alternatively go to Repeating Issue section on the right panels and click Set repeating. On new Repeating Issue modal panel configure repeating by choosing available repeat action and its related parameters (e.g. Summary, Issue type) and defining how often and how long this action should be executed. 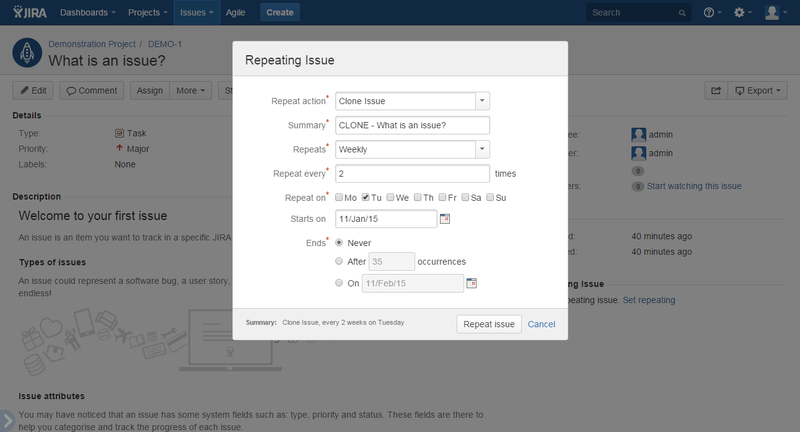 To see more detailed information about repeating for specific issue go to edit mode. Alternatively move cursor over Repeating Issue section on the right panels and click edit icon (pencil). 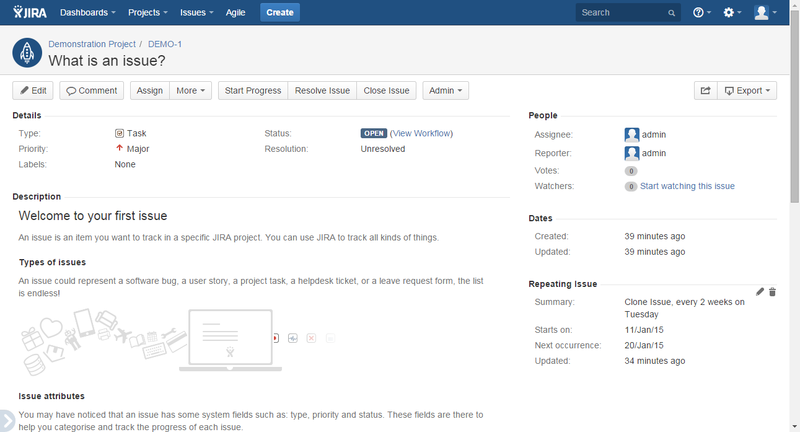 On new Repeating Issue modal panel configure new repeating and click Repeat Issue. 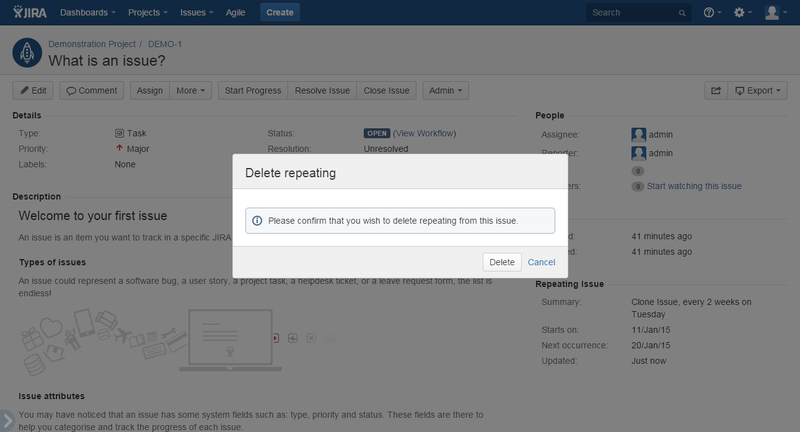 On new Delete repeating modal panel confirm deletion. This action make clone of current issue. Available parameter is cloned issue summary. This action allow to execute any default and custom workflow on given issue if workflow allow for this transitions. Available paraameters is workflow that should be executed.